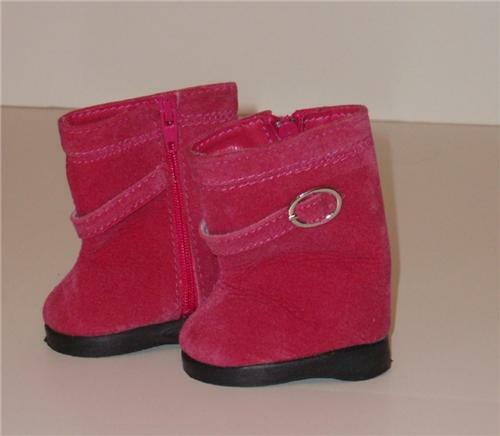 One pair of tall pink suede boots. There is a buckle accent on the side and a zipper. Very cute boots. Will fit American Girl Dolls and other similar size dolls.